Year? Now my early 47 Resto Thread. Re: Year? Now my early 47 Resto Thread. Raymond Durban's database shows the Cub engine serial numbers matching the tractor serial numbers up to Cub number 2116, there are many Cubs not in the list too. If your Cub's engine is the original, it is in that range. Number 1609 is there in the list. 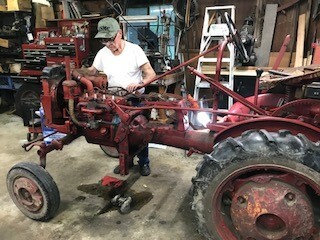 Working on the 47 cub this evening with my Dad. I verified a few things. One is that it still has the original 4 position light switch. I also figured out somebody wired in a later generator. Mine should of had the one with the cutout relay on top, but instead I have model 1100501. 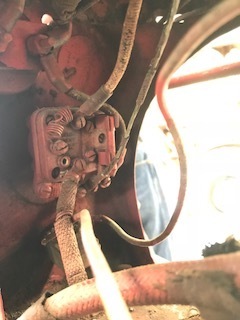 There are no screw holes on top to mount a cutout relay or regulator on. Somebody took some thick wire (sort of like a thick coat hanger) and hung a regulator off the generator base. There is no place for a regulator to mount, so that worked for them in a pinch and it has hung that way for years. Somehow they wired it all together and maybe it worked, maybe it didn't. So, I have generator model 1100501. Maybe I can find someone who has the generator 1101355 ? From searching old post, I believe 1101355 is what I am supposed to have. 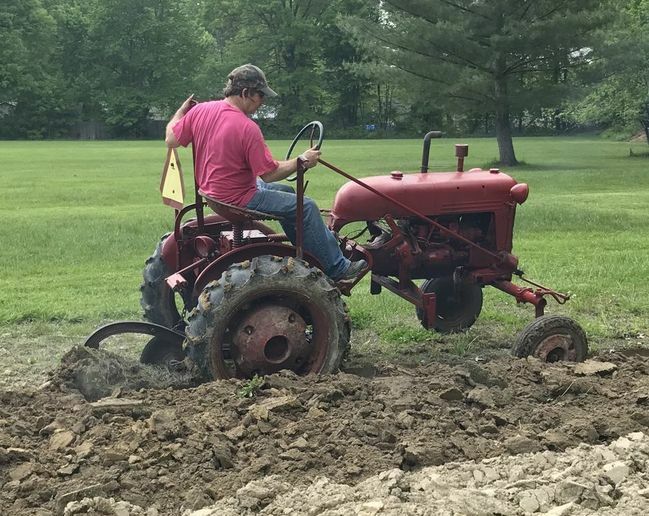 Needed to work on it today, fixed a fuel line issue with ford tractor sediment bulb. Managed to get most of the discing done as well, but quit a little early when the engine was making some strange noises..
Nice to see that l'm not the only one with the "armstrong" equipment lift. I see a lot of posts on the forum with people having TC issues. Just something else to maintain that could go wrong. 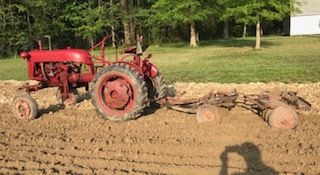 I've been operating my tractor with a hand lift for 50 yrs, back then l had to brace my foot against the gas tank and use both hands, now it's only a problem when l'm trying to float grade the driveway. I guess you never miss what you never had. Great looking working tractor, if you need one Steiner sells the 4 position switch. I bought one last year and it's very much like the original.